Banana Chocolate Chip Donuts. It’s been a while since I posted a sweet recipe. So I am sharing these banana chocolate chip donuts. If you don’t know already, I have a sweet tooth. So in order to get my sweet fix, I need to create healthier alternatives. 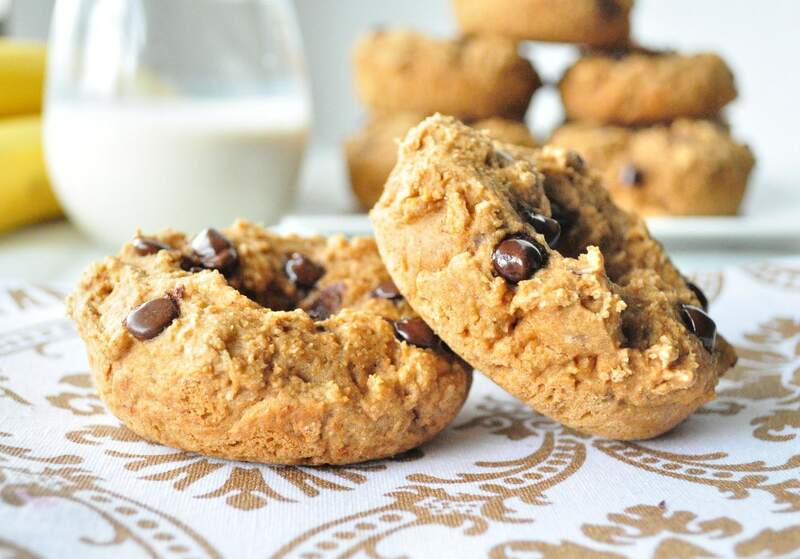 This banana chocolate chip donut recipe is one way to curb a sweet tooth. I may have gone a little over board with the chips. It’s all good though. These are healthy enough to eat for a breakfast and they should keep you satiated for quite sometime. This recipe was supposed to be called Apple Donuts, but I realized I was short on applesauce so I had to improvise by adding banana. Fold in the chocolate chips. Spoon batter onto greased donut pans and bake for 10-12 minutes or until a toothpick comes out clean.